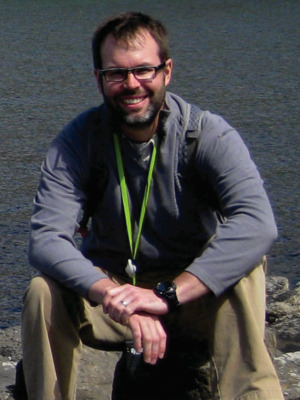 Jason Cervenec is the Education and Outreach Director for the Byrd Polar and Climate Research Center at The Ohio State University. The diverse outreach portfolio of the Center reaches approximately 12,000 individuals annually and includes programs in cutting edge science, science education, history, and the arts. The most common request for information that Jason receives from the public is on climate change. Jason earned a B.S. in Biology and M.Ed. in Secondary Science Education from The Ohio State University and began his career as a high school science teacher where he taught for more than a decade. During that time, he established two Science Olympiad teams and served as a lead instructor on an Ohio Board of Regents grant to train teachers in Modeling Instruction. In 2010, Jason took part in a Fulbright Teacher Exchange in Mumbai, India where he witnessed firsthand the challenges faced by most of the world’s population. Jason and his wife have two children, enjoy hiking, and recently rehabilitated a 1908 house in the Franklin Park area. He leads the Columbus Climate Change Action Plan Task Force and volunteers with Franklin County’s Restorative Justice Circles. Learn more about Jason's ongoing projects of the Byrd Center's Education & Outreach Group.